The dropdown shows all available catalogs to which to attach this note/file(s) for the specified feature(s). 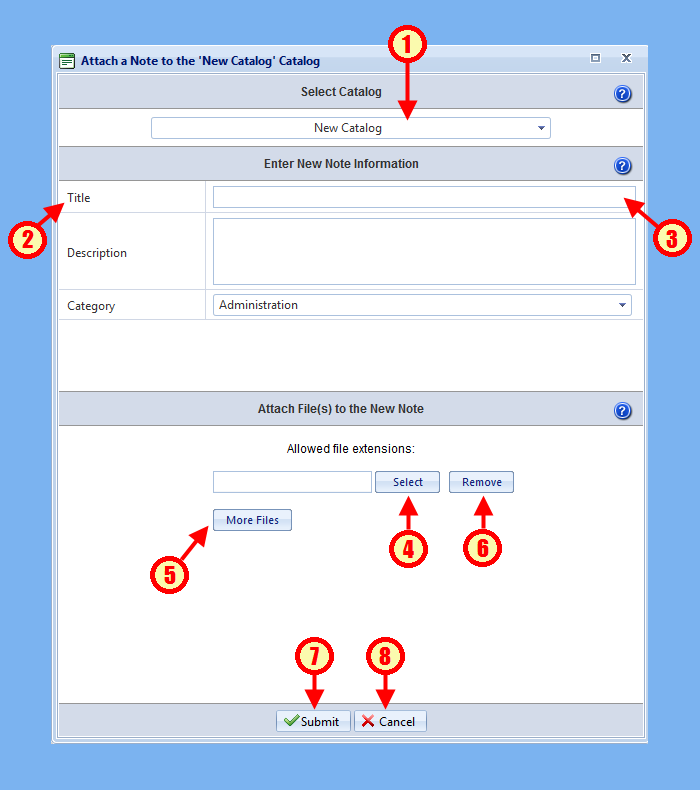 Note that the catalog must be associated with the feature type and the user must also have correct permissions as well in order to see a particular catalog in the dropdown. The custom field name created for this file catalog. The custom field input for the custom field. The input control can vary, depending on how the field was set up (i.e., calendar control, text control, dropdown, etc). Clicking on the "Select" button will bring up a file browser, which you can use to browse to the location of the file that you want to upload. Select the file and click on the "Open" button to add the file to the list of files to be uploaded when "Submit" is pressed. 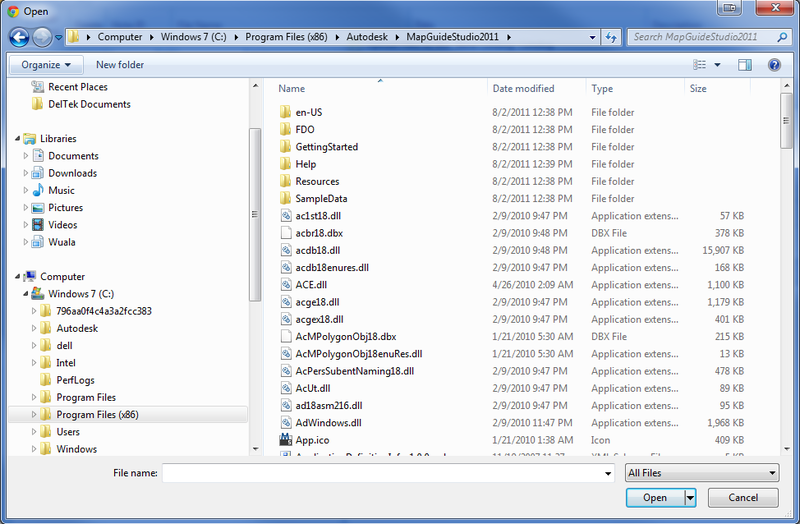 Clicking on the "More Files" button will add additional file selection rows so that you can attach multiple files. Clicking on a "Remove" button will remove the corresponding file selection row. Clicking on "Submit" will submit the form and add the note and attached file(s) to the catalog for the given feature(s). This may take some time if the file(s) that were attached are large. Clicking on "Cancel" will cancel out of the form without submitting anything. Closing the window via the "X" in the top right corner will also cancel without submitting anything.